The Directorate General of Guidance of the Islamic Community sent a delegation in Melayu Day held in Yala, Thailand. The activity lasts for 3 (three) days, 10-12 February 2017 which are participated by a number of countries, including Indonesia, Malaysia and the host of Thailand (12/2). 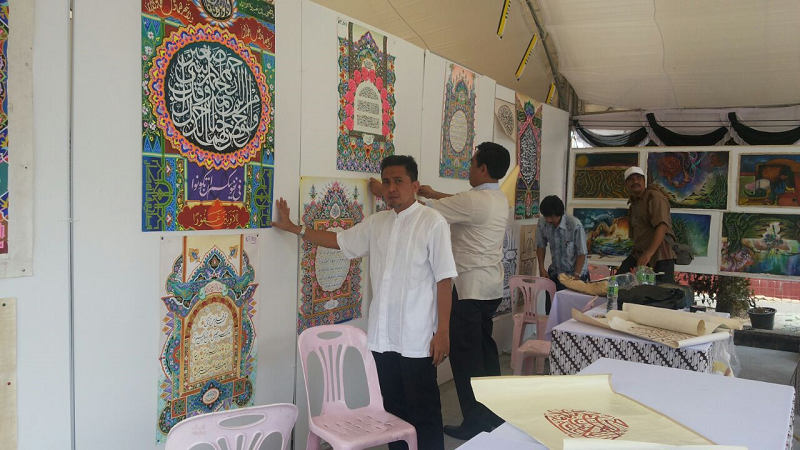 Indonesia which is coordinated by the Indonesian Consulate General Songkhla displays a variety of Islamic cultural arts creativity, including Islamic calligraphy, Saman dance from students of MAN 4 Jakarta and Islamic kolabotasi music from UIN Semarang. This activity was carried out in collaboration with the Social and Cultural Sector of the Yala Government in collaboration with the consulates of the countries of the Malay, Indonesian, Malaysian, Thailannd and Brunei Darussalam countries. The event was marked by the beating of a drum by the Yala military leadership, accompanied by the Consulates General of Malay countries. Head of the Bureau of Law and Foreign Cooperation Achmad Gunaryo revealed that the Ministry of Religion views that the Malay Day of Yala is a good opportunity to be utilized, especially in the context of promoting Indonesian Malay arts and culture. "This activity simultaneously promotes Indonesian tourist destinations and Islamic education in Indonesia, both madrasas, Islamic boarding schools and Indonesian Islamic colleges," Gunaryo told Pinmas, "he said. In addition, the festival presents several activities including marches, cultural performances and exhibitions that will be attended by schools under the auspices of the Yala City Government, the Institute of Executions, regional libraries, Regional Cultural Majlis, universities and so on. In the evening, the art team performed in a number of educational centers, namely at Rajabth Yala University, Thamvitayamulniti Yala School and Pattani Sasapathum School. This is to further familiarize the people of Indonesia with the education community in southern Thailand. While in the afternoon there was an exhibition and promotion of Indonesian education, culture and tourism. On this occasion the Jakarta Syarif Hidayatullah UIN Calligraphy Team conducted a workshop on Islamic calligraphy which was followed by students in the Southern Thailand region. 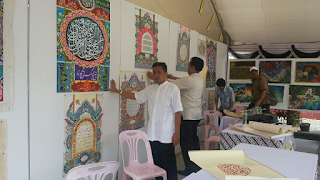 0 Response to "Indonesian calligraphers in action at Malay Daya Yala Thailand"